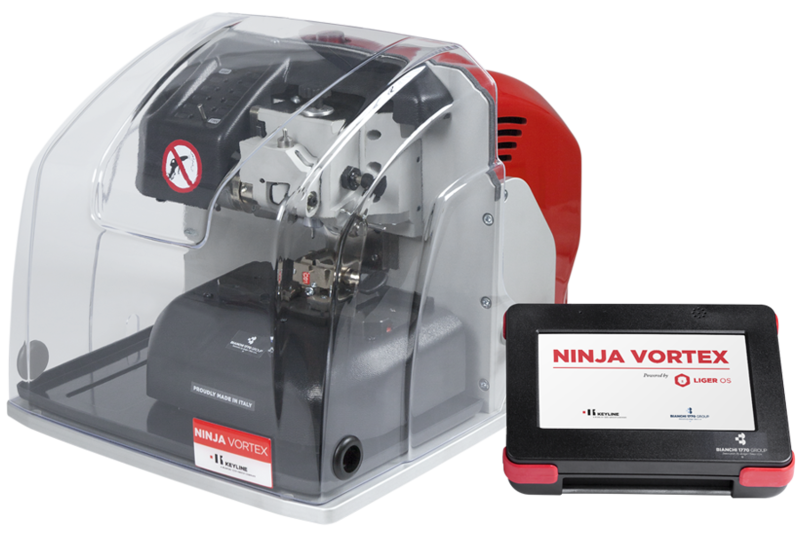 Ninja Vortex works in decoding, coding and in the engraving of the heads of the high security, laser and dimple keys. Thanks to the technology that it has, based on the combination of three axes, united to a wide database, Ninja Vortex guarantees well-advanced performance in the segment of the key cutting machines for the speed of decoding and cutting. Furthermore, the engraving system allows the personalization of metal head keys through graphic etching without the need to remove the key from the clamp, making Ninja Vortex the only complete key cutting machine for high security dimple and laser keys, singularly or in series. To facilitate the work of the professionals, Ninja Vortex includes complete equipment to cut the most widespread dimple keys that allows a secure installation, with automatic calibration and identification. Furthermore, clamps and cutters designed for special uses are available upon request. Equipment with the following Widia cutters: 1 pc. blade ø 4 mm, 90°cutting edge base 0,4mm (for dimple keys); 1 pc. blade ø 4 mm, cutting edge ø 2,5 mm (for car keys). Other models available upon request. Standard equipment includes 4 basic clamps: A01, A02, A03 for laser-type car keys; C01 for dimple keys. Other models available upon request. Learn the procedures of engraving of the heades of the keys with Keyline Ninja Vortex. 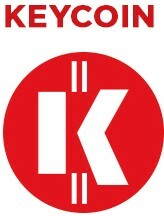 Learn the procedures to decode and cut dimple keys with Keyline Ninja Vortex.